An orthopedic surgeon is a physician who diagnoses and treats injuries and diseases in the musculoskeletal section of the body. They are trained and educated in this field and provide various sorts of treatments for the same. The bone structure of children is easy to manipulate. There could be multiple diseases which can be solved with orthopedic treatment and alignment methods. Here are the top five signs that your child needs orthopedic treatment and that you should get them checked by a professional orthopedic dentist. Children often have the habit of chewing and sucking on a pacifier or bottle. If this is done for a prolonged period of time, it can lead to underbites. This can cause the child to have a long jaw and create the impression of a deformed face. Other reasons for underbites and long jaws is hereditary and thumb sucking. 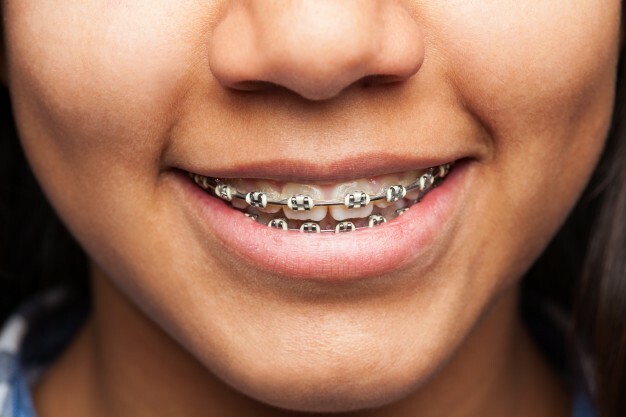 Orthopedic treatment from an orthopedic surgeon can remove this issue with the help of braces and other appliances. Buck teeth and short jaw. Buck’s teeth refer to the protruding of the front teeth. These can be caused by a number of regular activities which include sticking your tongue against the front teeth when you smile. In children, this condition and can even cause a loss of confidence and obviously lead to bad bite and jaw formation. With orthopedic treatment, this can be corrected with ease. It is one of the most common conditions children require treatment for. A lot of people have noticed their child with crooked teeth or bite or jaw and they usually think that it will sort itself out. But these things should not be taken lightly, and you should immediately consult an orthopedic dentist about what the treatment is. This could actually be a sign of early stress and cause major biting problems. It can be of two kinds, either backward or forward biting. These can be easily treated with the right dentist at the right time. If your child has teeth which do not line up or are not fitting correctly over each other then he or she may be suffering from an open bite. This can cause many complications with the bite. It has to be treated early or it can be very difficult to manipulate the bone structure when they are adults. This can be caused due to the child having a mix of permanent and milk teeth or it could be a jaw problem. It is easily treatable with orthopedic treatment. Your child may have issues with mouth breathing which can cause irritability and daytime sleepiness. These are only a few issues of mouth breathing. It is a very serious issue which usually gets ignored by parents. Orthopedic treatment can help your child correct this problem at an early age to avoid complications during later years. It can drastically improve your child’s mood and make sure that they have a good bite.